Roasting vegetables is pretty much how I make it through the winter. It's one of the only bright points of blustery days, chapped lips and padding around in bulky sweaters and socks. Not only does a 400 degree oven bring a literal warmth to the house, but it's pretty hard to go wrong with a toss of olive oil, salt and pepper to just about any winter vegetable. Still, routines are routines and I'm always excited for a simple way to change up the flavor profile of a go-to dinner. This is no more complicated than the standard, which is what I love about it, but just a touch more delicious for some more mild root vegetables such as turnips and parsnips: miso paste and pure maple syrup. Begin by preheating your oven to 400 degrees. In a large bowl, toss your diced vegetables together until evenly dispersed. In a small bowl, whisk together your miso paste, maple syrup, vinegar, soy sauce, oil and pepper. 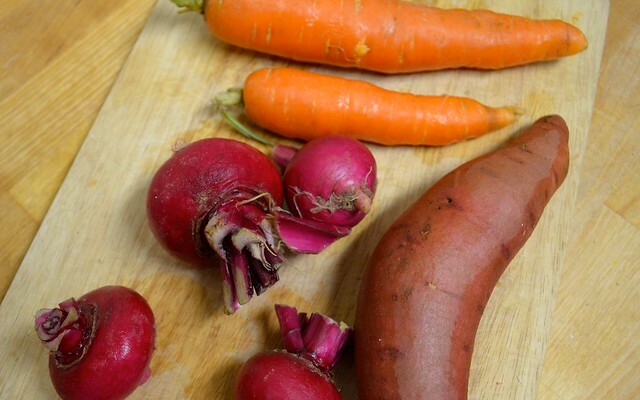 Pour over the vegetables and toss together (using your hands is best/easiest) until evenly coated. 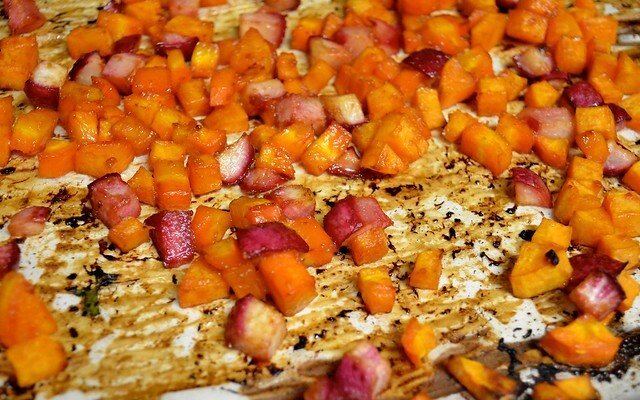 Spread out over a parchment lined baking sheet in a single layer and roast for about 45 minutes or until the vegetables are tender and slightly caramelized around the edges. 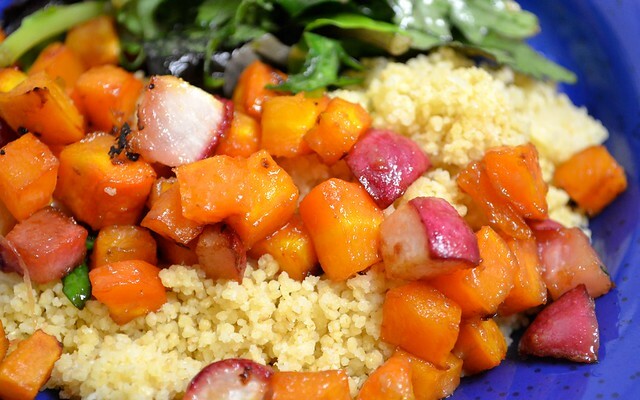 This dish is perfect over rice or couscous but the flavors also stand alone as it's own dish. 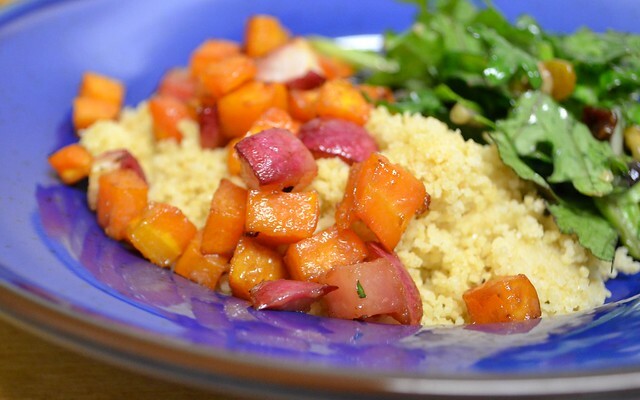 Leftovers also work great served cold over salads -- to braving the winter weather with good food! Recipe inspired by Nicholas Day's post on Food52. Looking for some other roasting ideas? Try this roasted black futsu with jasmine-kale rice. For some Middle Eastern flair, try this roasted carrot take on falafel.